what do we hear most often? "I need help getting a job..." - "My resume is NOT working for me... "
"Where can I get assistance in my job search?" Our subscribers are job seekers and professionals who are looking for career management and job search help through professional coaching and counseling services. How are you attracting YOUR new clients? Advertising your services and products through traditional methods such as newspaper advertising or referrals can provide you leads, but are you getting enough and are they qualified? HRHQ has successfully implemented a marketing method for Career Coaches that effectively delivers qualified prospect leads to YOU. Our approach involves the sourcing of qualified prospective clients for you; introducing them in a compelling manner to the benefits of engaging your coaching services. 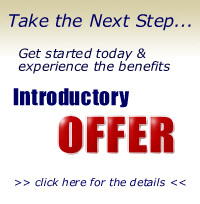 • Receive a "Short-list" of qualified prospects that need the your service and that you want to take on as clients. Copyright © 2006 HRHQ - All rights reserved.